Styria is a region within the central portion of Austria that is home to historic cities, a rich culture and breathtaking examples of nature. It makes sense that there are a number of luxury camping sites to be found here. To fully appreciate the holiday camping possibilities, make time to speak with a professional from LUX-camp. 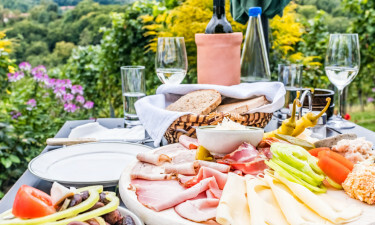 Why Can Styria Offer a True Sense of Camping Luxury? Access to the historic city of Graz. Pristine lakes and towering mountains. Many possibilities to enjoy skiing. Luxury camping sites that include mobile homes as well as countless conveniences. 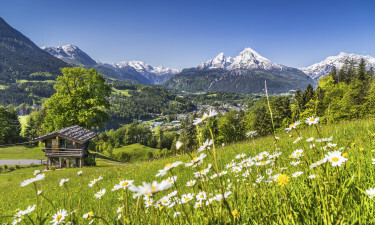 This Austrian region was the home to Celtic tribes as well as the Romans. It was not until the late 12th century that is was incorporated into greater Austria. Although traditional farms and vineyards still exist, the economy here is generally based around service industries. This very same economy is strongest in the entire country. When these facts are combined with a picturesque environment and a booming tourist sector, it is easy to appreciate why camping holidays are popular. This luxury camping resort is home to 220 pitches as well as tents, caravans and mobile homes. Table tennis, a sauna and a large open-air pool are a few of the attractions found here. Nearby activities include tennis, riding, fishing, hiking and there is a ski lift found 25 kilometres away. The natural beauty of this region has attracted visitors for hundreds of years (if not more). Some of the most famous locations boast views that seem to have been plucked from the eye of an artist. An example here can be seen in the notable Gruner See region. 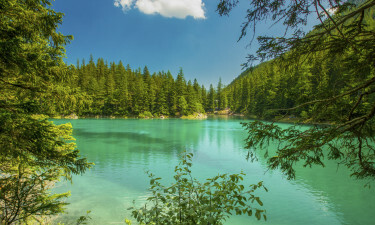 Swimming in lakes is possible during the warmer months of the year and hiking is another popular option. Some will choose luxury camping sites here due to their relative proximity to religious sites such as Mariatrost Basilica and Admont Abbey. While the capital city of Graz is certainly worth a visit, the geography here is equally as stunning. Some favourite destinations include Lake Toplitz, the Ennstal Alps, the forests of Reiteralm and the famous Hochschwab mountain range. Due to its location, the foods here are generally quite rich and reflect a Germanic flavour. Fans of hearty eating will certainly not be disappointed during their stay at any holiday camping site. Thanks to local wineries, some truly delectable Austrian wines are always close by. These tend to complement the strong ales and lagers that Austria is known for. The people here are very friendly and they reflect the more traditional forms of hospitality that are not often seen in more urbanised areas of the world.